Community Psychology Practice: Can Random Acts of Kindness Strengthen Communities? Can Random Acts of Kindness Strengthen Communities? This past weekend was the third Annual Melee of Kindness (AMOK). 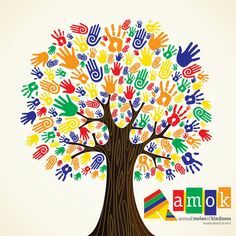 Playfully named after a word synonymous with craziness ( and technically defined as a psychological disorder characterized by random acts of mass violence), AMOK is actually devoted to random acts of kindness. Promoted by the nonprofit Random Acts, AMOK encourages people throughout the world to perform acts of kindness in their local community. It's a cute idea, but can it be more? As community psychologists, we typically look for ways to strengthen communities that are locally grounded, systematic, and sustainable. Some decry one-day volunteer events (such as those promoted by businesses to promote "team-building"), for their ability to engender good feelings in one-shot volunteers without actually creating any kind of lasting effects. I understand this critique, though I have seen examples of short-term events that have long-lasting impacts. For example, hackathons devoted to social betterment, such as the Hackathon for Social Good, bring together programmers and designers for a concentrated period of time to develop innovative technological solutions to challenges faced by nonprofits. Although sustained work is needed to maximize the usefulness of apps and other products developed during these events, mass participation and the short-term intense nature of hackathons can lead to innovations that wouldn't otherwise occur. As far as Random Acts is concerned, it's worth mentioning that AMOK is just one event in an ongoing effort to promote random acts of kindness. However, this still begs the question, do random acts of kindness actually do any good? Without minimizing the importance of sustained well-funded multilevel approaches to preventing social problems and strengthening communities, I'd like to make a case for the virtues of promoting kindness (and randomness), and particularly for the approach adopted by Random Acts. (1) Random acts of kindness may increase recipient's sense of informal social support and social connectedness. The importance of social support cannot be underestimated. The One Strong Ohana child maltreatment prevention campaign, which I've mentioned previously, promotes seemingly "random acts" of kindness towards families, such as offering to babysit or pick up groceries for a neighbor. These small acts increase a sense of social support, which is a proven protective factor against child abuse and neglect. Informal social ties are essential to individual and community well-being, and even small acts can go a long way toward increasing the sense that people can rely on their neighbors. For instance, Carlos Luis has written about the "suspended coffee" concept, whereby people pay in advance for a cup of coffee or a meal that could be claimed later by anyone who needs it. This concept has taken off around the world, and may be a way to promote solidarity and social cohesion. (2) Random Acts (the organization) repeatedly emphasizes taking action in your community and "transforming your neighborhood." Unlike other one-day events (such as the "team-building" corporate volunteer events alluded to previously), this approach encourages people to engage deeply with their own communities, to seek out problems that need to be fixed, and to take action that may lead to long-lasting community change. (3) Engaging in random acts of kindness in one's own community may promote a sense of influence, one of the core elements of psychological sense of community. This may be enhanced when several people work together and accomplish something that they may not have otherwise thought possible, promoting a sense of empowerment and collective efficacy which could potentially lead to future collective action. It may also raise awareness about community problems that are otherwise ignored, which, when combined with an increased sense of collective efficacy could potentially lead to larger scale change. For instance, a group of people who spend a day reaching out to homeless members of their community may become more deeply aware of the problem of homelessness, and continue to work together or become involved in existing efforts to effect policy changes that could address this problem. (4) The organization provides a global platform and makes extensive use of social media to document and share local experiences. This can promote intercultural dialogue and creates a shared history among participants, locally and globally, devoted to community betterment. (5) It's refreshing to engage with a nonprofit whose primary request is not to donate or sign a petition, but to simply do something positive. Random Acts does ask for donations, which it uses to fund project proposals put out by participants. However, it is currently run entirely by volunteers, affording it a certain amount of freedom from the dilemma faced by nonprofits that feel a tension between remaining true to their mission and keeping their staff employed. Though Random Acts is only a few years old, and will likely find itself struggling with that tension if it continues to grow in the next few years, the fact that people can "participate" without ever actually even having any contact with the organization provides a unique experience for would-be volunteers. Also, they really are cute. Seriously, they're adorable. Co-founded by actor and social media overlord Misha Collins, whose childhood experiences with homelessness and the unexpected generosity of strangers inspired this organization's inception, Random Acts is full of dedicated people who genuinely want to make the world better in every random way they can. This includes unpaid staff who work tirelessly to maintain the site and organize events, one of whom wrote about how her experiences have convinced her of the real potential of this approach, "It started with what sounds like an almost too simplistic mission: we can change the world through small acts of kindness, But I actually believe that to be true." It also includes groups working together to clean neglected community spaces or raise funds for local nonprofits, and individuals snowblowing their neighbor's yards or even taping quarters to vending machines. In addition to AMOK and other projects, Random Acts is associated with another annual event with the unruly acronym GISHWES, which stands for the "Greatest International Scavenger Hunt the World Has Ever Seen." Surprisingly, it actually lives up to the hubris of its name, having attained multiple Guinness World Records for being the world's largest scavenger hunt. GISHWHES includes a list of activities that range from the randomly kind (e.g. "grab a friend and go donate blood or platelets", "perform a stealth act of kindness for someone at work"), to the just plain random (e.g. "make a wig from your own hair", "create a portrait made entirely of Skittles", "dress up like a stormtrooper and fold laundry"). I am also connected with a organization who help needy people.